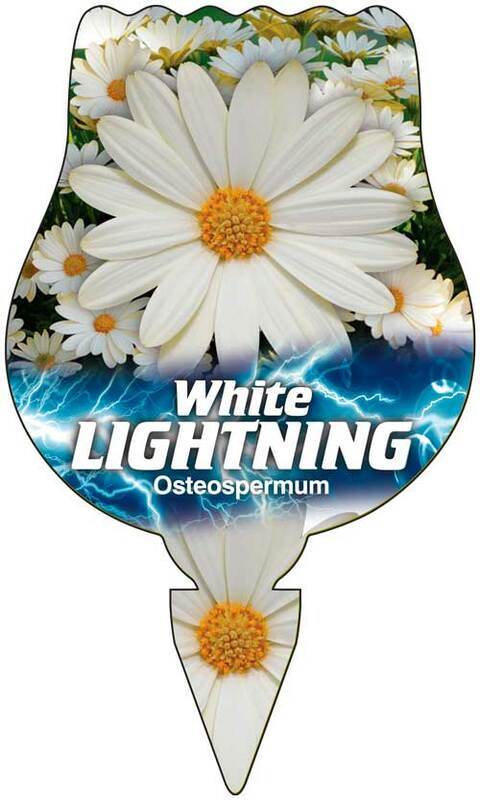 Osteospermum White Lightning – the best Summer performing Osteo on the market! 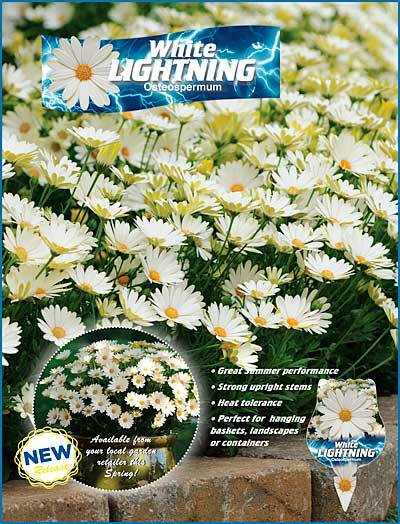 Osteospermum ‘White Lightning’ will grow in any climate! It is strong, weather-tolerant and highly presentable. Fresh, cheery clear-white daisy blooms that have a darker centre and fresh yellow undersides, will reward a gardener with an abundance of flowers over a long period, from spring through to autumn. The mounded habit of Osteospermum ‘White Lightning’ makes it ideal for containers, baskets, garden beds or landscapes. Osteospermum ‘White Lightning’ is available at all good garden centres.